Boy, have things really begun to heat up! And I'm not talking politics. 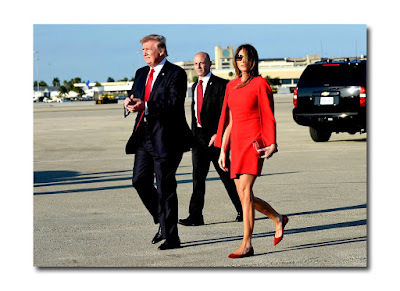 But instead of wearing white (which is always suggested for its ‘cooling’ effect), many women have been wearing red hot red, the symbol of power. 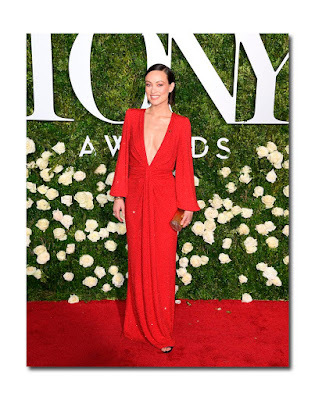 As they say, “Fight fire with fire”.At the Tony Awards on Sunday (a day when the thermostat rose above 90), actress and presenter Olivia Wilde, heated up the night with her red plunge front long sleeved Michael Kors gown. When Jessica Chastain arrived for her pre-wedding reception at Venice, Italy (the actress married Gian Luca Passi de Preposulo outside of Venice over this past weekend), she was wearing a short red dress. 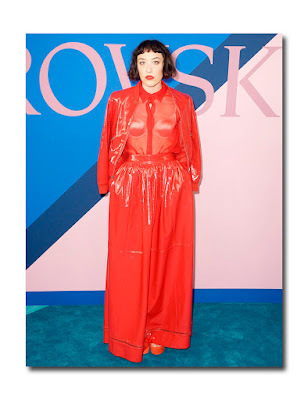 Last Monday, actress Mia Morelli was literally encased in red at the 2017 CFDA Awards, opting for Stacey Bendet’s red patent bomber, matching floor length skirt, and sheer red blouse for Alice + Olivia (she arrived with the designer). 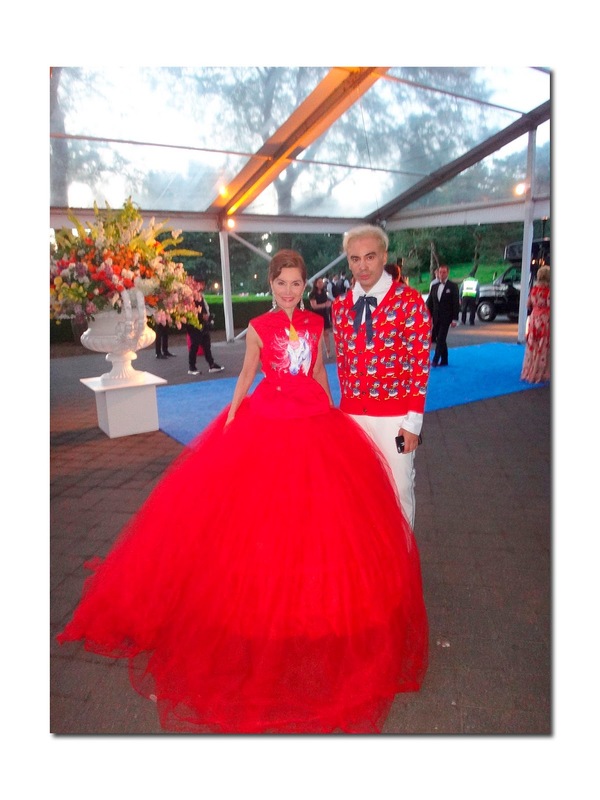 At the New York Botanical Garden’s Conservatory Ball on June 1st, Jean Shafiroff stole the show in Victor de Souza’s red ‘Unicorn’ gown. At the Cannes Film Festival in May, Bella Hadid was a vision in her red quilted Christian Dior gown perfectly accessorized with Bulgari diamonds (she is the face of the new Bulgari fragrance). First Lady Melania Trump understands the impact of fashion AND color and has been known to favor red, along with white, black, and tan. One memorable example was her short Givenchy cape dress which she accessorized with a small red quilted Chanel clutch and red suede Louboutin ballerinas. 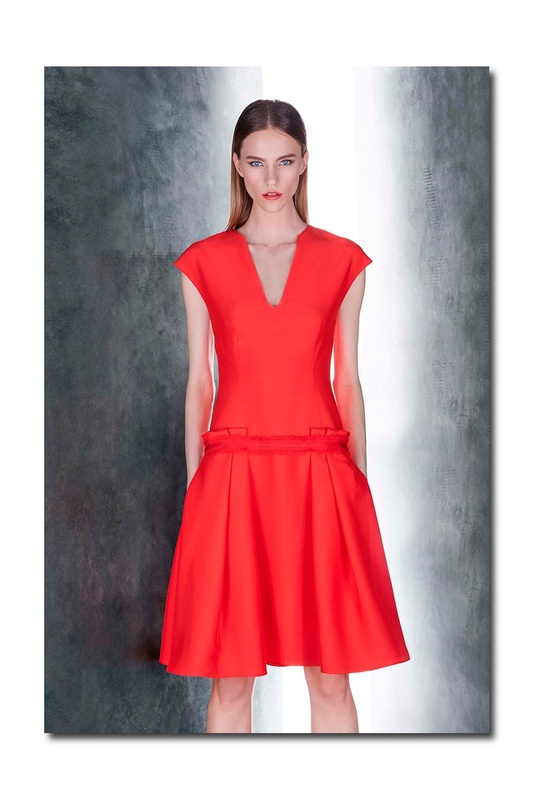 The Resort 2018 collections are now underway and it’s obvious that designers continue to be taken with this color (for day and evening). They also understand that the hue packs such a wallop that it’s best when shown in its most simplistic, minimalist state. 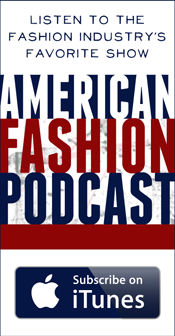 Relative newcomer Jeffrey Dodd launched his high end line in 2014. 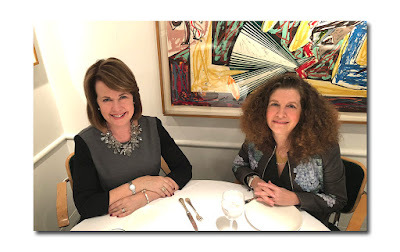 Everything is designed in New York City and made in Italy. 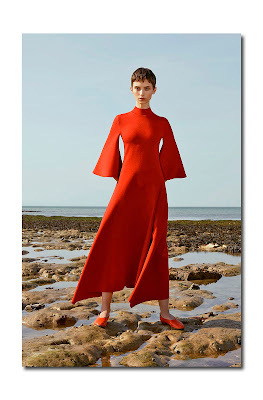 The emphasis is on workmanship, superb fabrication, impeccable tailoring, draping, and modern silhouettes (he has begun to garner much attention for his red carpet worthy designs). 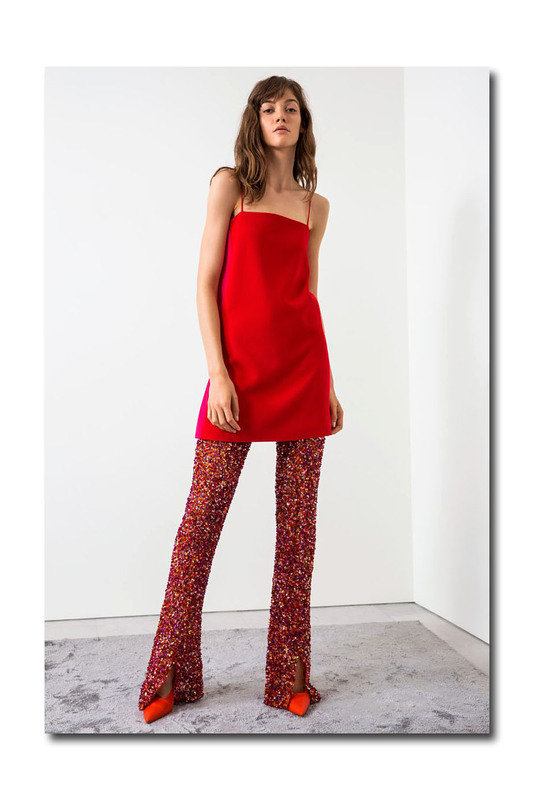 For his debut resort 2018, he included 6 pieces in vibrant, saturated red. 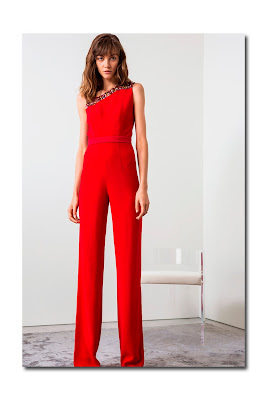 A red tunic shown over red hand embroidered narrow pants, was accessorized with red high heels. This was also the debut of his new shoe collection. Fran Stringer has been creative director for Pringle of Scotland for just under one year and she spiced up the Resort 2018 collection (which emphasized technical knitwear), with several pieces in red, adding matching flats. I have always gravitated to red as it instantly changes the way I feel. 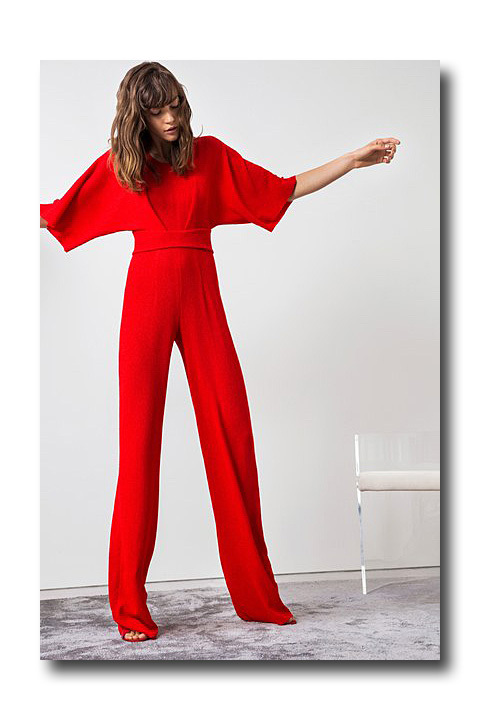 I am always reminded of Spanish designer Sybilla’s observation, “When I wear red, I feel like I can eat the world!” Do you need more of an excuse to follow her lead?